When I woke up this morning, I realized that it’s spring at my house. And yes, I do live in the northern hemisphere. Crazy, right? Let me explain. My autumn started over a year ago, on the three days of my husband’s heart attack and death. Within the span of 72 hours, the leaves on my trees withered and fell. The grass browned. Dark clouds of grief, abandonment and fear blotted out the sun. In my world, it rained every day. Then winter came, a long brutally cold season that I could not seem to escape. Depressed, frightened, with too many new responsibilities and a deadline looming, I moved through my wedding anniversary, birthdays, Thanksgiving, Christmas and Easter in a stupor. I functioned. I smiled. I made conversation. I wrote. I was robotic. And I was suffering from undiagnosed Post Traumatic Stress Disorder. Through family, friends, and divine guidance, I got help for PTSD, which was caused in part by shock and grief, but in a larger part by not expressing my grief. I learned the hard way that if you don’t let it out, it will seek its own way, and that may be extremely detrimental to a person’s physical or emotional well being. Through grief counseling and The Healing Touch therapy, I now deal with my grief. I cry until I hurt, but I also give myself permission to laugh, to enjoy time with friends, to travel and to experience new things that at first felt wrong to do without my husband at my side. That brings me to spring. 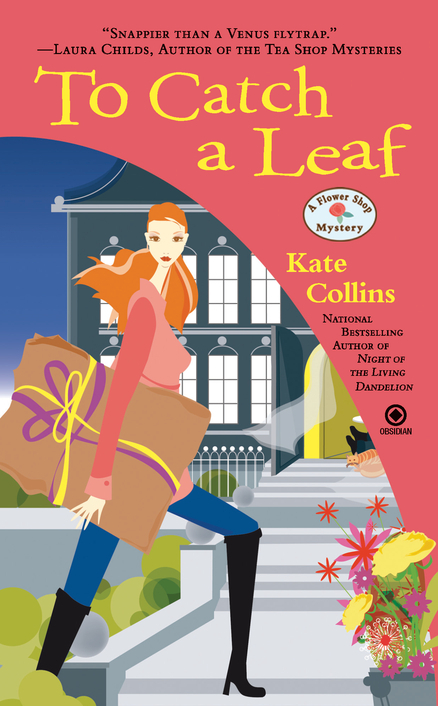 I realized three days ago that my new book TO CATCH A LEAF, is to be released on my wedding anniversary, November 1st. I don’t know why it didn’t occur to me earlier, but the epiphany left me feeling joyous, as though my husband will be celebrating yet another milestone with me. He was there for the first book I ever published. He’ll be here for this one, too. It’s starting to look green at my house once again. Spring bulbs are sprouting. Trees are budding. No, not actually. Just in my heart. I can look back at my years with my husband as a magical time, full of adventure and laughter and passion, without as much pain and with much more joy than before. It’s still very, very difficult, make no mistake. I’ll never be able to think of our beautiful years together without that sharp ache inside. I will never stop missing his physical presence. But I feel his spirit with me every day. And now I can even look forward to summer again. On November 1st, please join me in raising a cyber glass to healing grief in whomever or wherever it may be found. I’ll be raising one to my husband and to my new book. Thanks for sticking with me this past year. I promise you will really enjoy the new Abby Knight mystery. Thank you for sharing your most personal feelings with us, Kate. I know you have readers who need to know that one can make it with the right support. It is through your gift of writing, your fluid, beautiful writing, sprinkled with humor, that we've grown to know you so well. Bless you as you continue to laugh and cry and celebrate. Indeed, I'll be raising my real glass to you on Nov. 1st toasting you and your beloved husband. I was looking at your book on Amazon and there isn't a description about it there. Is it something that can be added? Hugs to you Kate. And yes, I'll raise my glass on Nov 1st. I am raising a glass to you and your husband right now and will do it again on November 1st. You have shown great courage and strength this past year and I know it is hard every day. As you said, it gets better with time, but you never forget. Blessings to you and your husband on your special day! I will be joining you in raising a glass! May you and your husband share many many more Springs (summers, winters and falls) together! Diane, I will look into the Amazon problem. Thanks for the heads up. Kate, I can not know exactly what you have been feeling and going thru as I have not lost my husband but am so glad that you are able to talk to all of us who only know you thru your books and the internet. I will gladly raise a glass of wine in honor of your husband, you and your books. What a lovely way to describe your journey through grief. I'm so glad it's spring now, and you can count on me to raise a glass on November 1st. Even though I seldom drink, I will for sure raise a glass to you and your husband. I wish you happiness in your future, with your family, friends and writing, and of course, your memories. I'll be raising a glass with you on November 1. I'll join you on Nov 1st, too. Cheers for your open-eyed journey through grief. May you treasure those memories forever but move on to enjoy a new life. I've followed your progress with caring and prayers. And cheers to the new book. November 1st will be a special day and many of us will think of ou.